To the south of Borodino, the SS Das Reich was committed to several actions aimed at breaking the Soviet lines in order to rush towards the east. The Der Fuhrer Regiment, fighting on the southern flank of the Division, had regrouped and was to seize the village of Yudinki, whose forward defense consisted of some of the finest Russian youth - the Lenin Cadets. 2018-05-20 (A) Michael Rodgers vs Paul Suderman German (SS) win Played without balance. Only 1 HS and an MMG covered the right side while the rest of the Germans pushed through the woods. Germans took most of there buildings on the second to last turn. Final building taken on last turn. 2018-01-23 (A) X von Marwitz vs Stephan Jacobi Russian win A much played infantry only scenario which pits a crack German force vs. a crack Russian one. I had the Germans in this one. 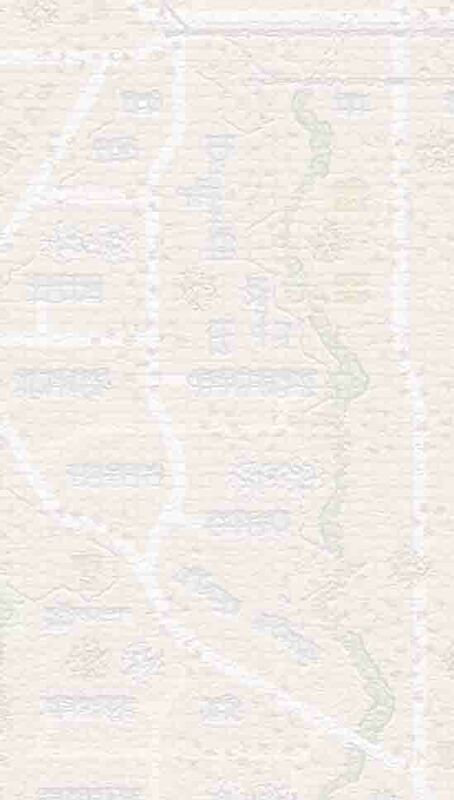 With regard to the general tactic, there's no magic in this one: Woods on the German left flank, open ground to the right, victory buildings in the back. The Russians must cover the open ground to deny the Germans any quick route and force him to punch through the woods. In the woods, the Russian needs to stage a classic fall-back defense and to prevent the Germans from piercing the line anywhere, while at the same time always have in mind covering the open ground even when he begins to take losses. With Russian elite troops and woods all around, the Russian 10-0 will stage as the "Instant-Rally" station. Following this plan, the Germans will hopefully run out of time to take all buildings. My Germans figured out the deployment of the Russian troops quick enough. As the general path of action is pretty clear in this one, the challenge lies in the order in which every single move is conducted and in instantly taking advantage of DRs that shift the game this way or the other. By this, the Germans might eventually prise open the Russian block and force him to fall back more quickly than planned. The Germans won't be able to avoid moving up ADJACENT to Russian units lurking to dish out punishment. Unfortunately for my Germans, they received rather serious punishment quite early in German Turn 2, losing 2 squad equivalents to K/# and KIA results and having a further 3 squad equivalents and the 8-1 Leader broken. This might have been ok, if the ensuing Advancing Fire would have provided some revenge, but until the end of German Turn 2 the Russian was unscathed execept for a loss of 2 squads due to a FT & DC & Advancing fire combo on a single hex. Instead of Rallying, my second best leader decided to roll boxcars and to round it off another HS did the same. Together with the previous run of events, this had me a bit annoyed, as it became forseeable, that the scenario had turned into an uphill-fight for the Germans very early, further burdened by the impact this had on the CVP cap. What followed was a bit of Germans having to move ADJACENT, Russians taking PB-shots, Germans hoping for some exploits by Advancing Fire, then Russians falling back to regain concealment and their brokies running for the 10-0 Commissar. Rinse & repeat. Eventually, the Germans were getting the upper hand in the Woods, but at considerable cost. The Russians taking a Prisoner HS did not help either. 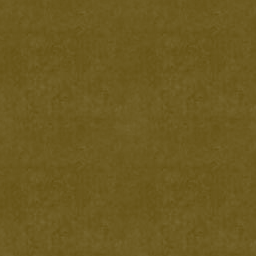 The German FT had X'ed out on its second shot. 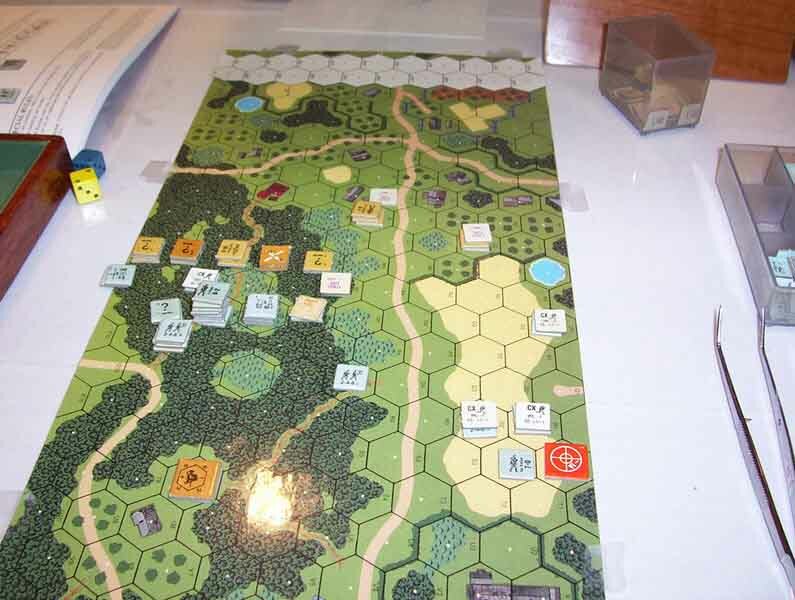 Before emerging from the woods, the Germans had already suffered 14CVP, so there was noch much leeway for fancy moves. While Russians had taken considerable losses, the Germans could not sufficiently outflank them to prevent escape. 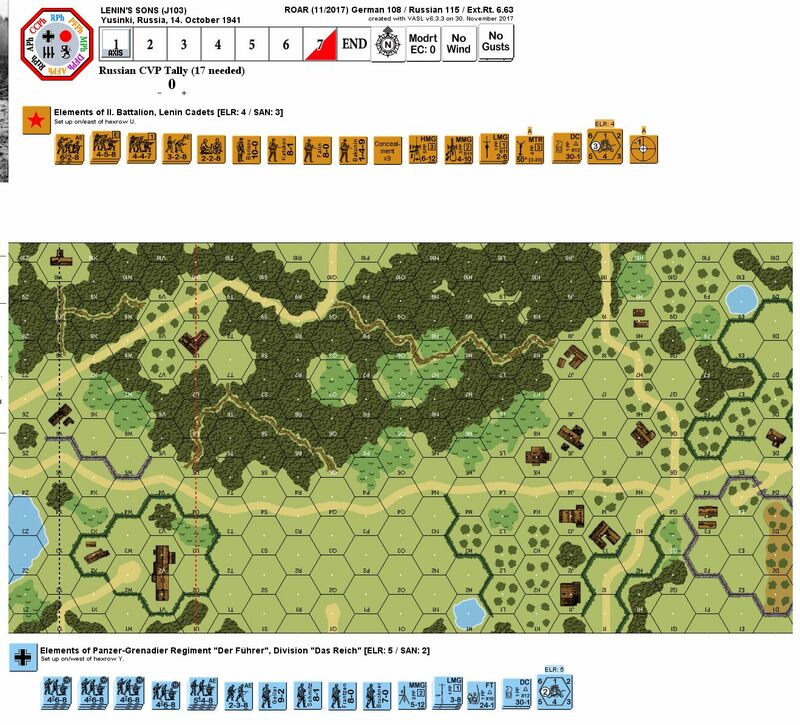 The Russians had their 10-0, their 8-1 and 3x628s left on the woods flank and a 228+MMG and 8-0, 328+MTR on the open flank. My Germans took 4 buildings close to the woods and managed to cross the road to the "open" flank where they took out the 228+MMG and two more buildings. Due to time pressing, I had to take the chances of a 1-1 Melee in the 7th building and was in position to reach the 8th one in my final MPh, though the odds were not exactly looking inviting. On top of that, one single more CVP would bring a Russian win. This exactly happened in the 1-1 Melee of the 7th Building which ended the game with a Russian win. Given the bad situation the Germans were in from early on, I can be content with what they managed to archive in the end. 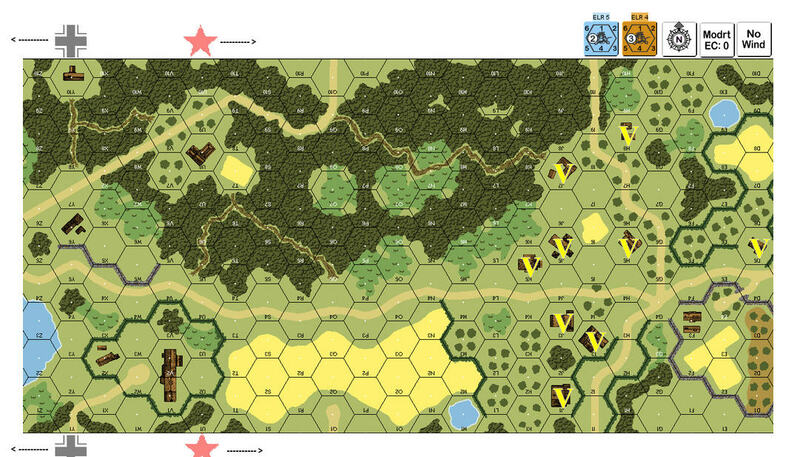 2017-10-08 (D) jon smith vs germans German (SS) win Russian defence was holding strong even if they couldn't stop the germans piling through the woods... but at a critical moment a snake eyes for an nmc on a ldr made him beserk and he took my HMG and MG team with him... removing me of all cover on the left flank and giving Germans the space to take the village... ouch.